Standard Bank Deputy Managing Director Md Motaleb Hossain opens the 24th agent banking outlet of the bank at Chilimpur in Tangail on Monday. 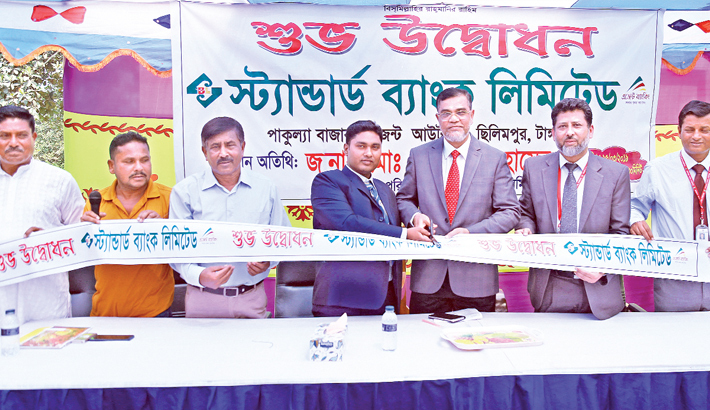 Standard Bank opened its 24th agent outlet at Chilimpur in Tangail on Monday. Deputy Managing Director of the bank Md Motaleb Hossain inaugurated the agent outlet as the chief guest, said a press release. Rezaur Rahman, Head of Agent Banking Division, Md Badar Uddin, Manager of SBL Tangail Branch, Banking Agent Shazal Hossain, other officials of SBL, local businessmen, customers were present on the occasion.